At the height of the compact disc era, the first rule of any debut album was to feature compelling cover art. This didn’t mean just slapping some eye-catching image on the front, but rather visually representing the music inside. I often used this rule as my sole criteria for determining whether the disc was coming home with me. While that may seem like a random exercise, I discovered many of my favorite albums by simply trusting in the artist’s graphic interpretation of the music. Now, in today’s generation of digital music, where the cover is a one-inch square on a download platform, this subtle art form is often forgotten. But if I came across Ivory, the debut album from Florida-based duo Colours, in one of my many searches, I would have been hooked. The cover is mysterious, haunting and beautiful with bright, neon font peering through blooming flowers, hinting at a blend of the organic and synthetic. After a listen to the music, I recognized that the cover is not only a brilliant design, but a clear reflection of the sound that lies within. Aptly featured in the television show “Lucifer,” the song “Monster” is Colours’ first video and is likely the song that will introduce the pair to the masses. The video starts with a snap and then falls into a melodic troupe of whispering vocals and a velvety, sliding rhythm. While many of Ivory’s tracks have a pinch of pop, in “Monster,” listeners will find all the necessary ingredients for a radio hit: an extended guitar solo, the tickling of piano keys and a chorus that your memory can’t refuse. Where Ivory truly succeeds is in its balance. While “Monster” is clearly a standout track, it’s part of a complete package. Unlike many debut albums, Ivory isn’t one hit surrounded by a batch of inferior songs. Instead, the album plays as a full story. Moving to “Slow,” the second song made available prior to the CD’s release, the album doesn’t skip a bit. 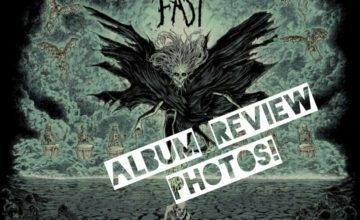 It continues the pace set by Monster, and further invests the listener’s attention with a hypnotic, progressive pace. From track to track, Ivory is a solid compilation of songs. Alley and Tamo’s ability to subtly vary the beats and consistently create catchy lyrics show a maturity and patience in songwriting that is rare in a debut. 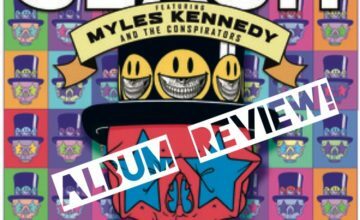 The album has an intrigue and emotional presence that’s likely to appeal to those looking for something with a harder edge or those looking for a melodic escape. While “Monster” and “Lawless” have a dark, aggressive theme, others like “The Unforgettable,” “Gold Bones” and the aching conclusion, “Alone,” venture into love, loss and vulnerability. 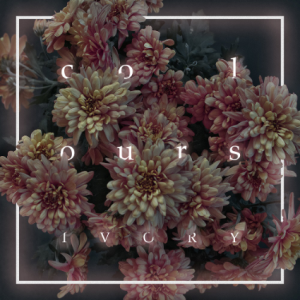 As the first chapter to Colours’ catalog, Ivory serves notice that they are a band with a keen ear, comfortably walking the delicate balance of making music that’s accessible to the masses without feeling contrived or formulaic. 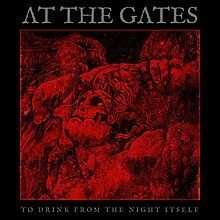 It is both familiar and original, and as the band tours and grows, their sound will only continue to evolve and blossom. I’m excited to see what chapter two will bring. In the meantime, Ivory is likely to remain in my queue indefinitely.